In At C-Level #9, we discussed how leadership is now entering what we call the Integral era. In this era, technological, economic, and geopolitical change outpace the abilities of most Modern and Post-Modern leaders who think in terms of tasks, processes, and systems. 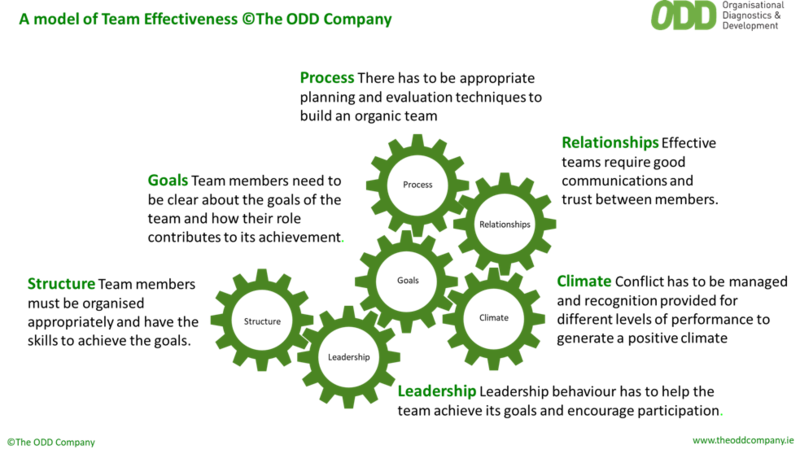 Leading transformations in the Integral era requires strong functional leaders on your team who can supplement and/or complement the strengths, abilities, and knowledge of the team leader, and who are very collaborative, adding mental and physical horsepower to your transformation engine. Building your team to make the transformation successful and sustainable requires assessing your needs for the transformation, as well as assessing the people working with you today and their abilities and potential to fill those needs in their current or alternative roles (reference Collins’ “getting the right people in the right seats on the bus” in his book Good to Great). 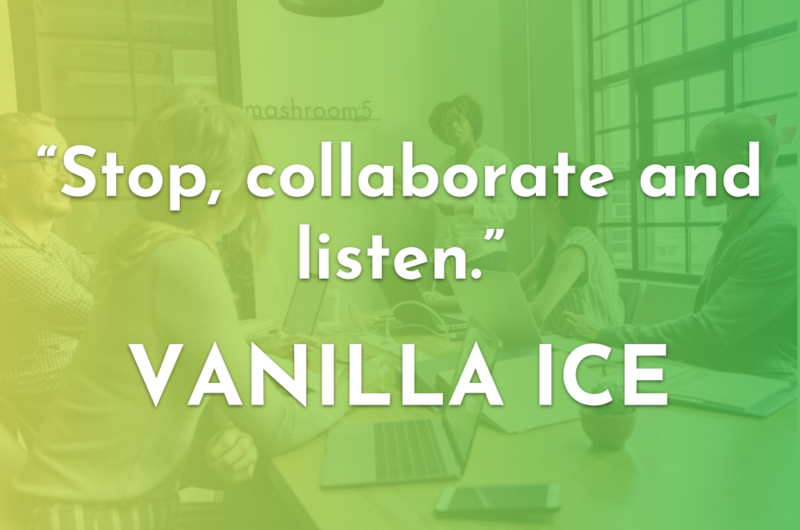 It may also include adding, subtracting, or replacing team members to get the right mix. What are your personal strengths and weaknesses? 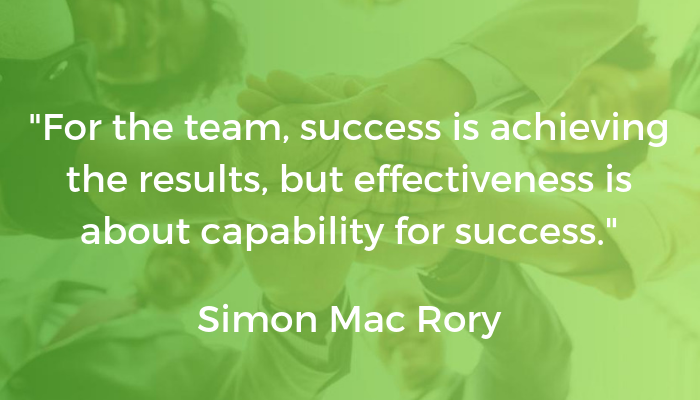 Are you surrounded by people on your team who can fill those gaps today and bring their competencies and knowledge to the team in an additive way? Any gaps still? Large Manufacturing Company. Leading a transformation to upgrade basic financial reporting controllers into true financial business partners by implementing a new and fully integrated financial system needed more horsepower than I had alone. I was a just a new corporate financial analyst in this $2B heavy manufacturer with operations world-wide. There was too much I did not know that could keep the transformation from even getting off the ground. However, my research and our vision led me to develop strong relationships with the controller of the largest BU, one of the most senior controllers in the company and one of the most progressive information technology leaders in the company. All were passionate about our charge and we teamed up to co-lead the transformation. After selecting the software platform, we needed to make some role changes to benefit the transformation (“get the right people on the bus in the right seats”). The controller of the largest BU became the project leader, I was promoted to the controller position to lead one of the first BU implementations, and the senior controller joined the implementation team full time. With those changes, we were all more energized than ever and ready to drive the transformation forward (which we did)! Thinking about your vision for your organization and the transformation to get it there, do you have all the right people in the right seats on the bus? Okay, clear your mind of all biases. First, what seats on the bus are required to drive it forward? Now think about the people. Who belongs in which seats? Are you the best driver of this bus? Mid-Size Electronics Manufacturing Services Company. As a new CEO in this $75M publicly-held electronics manufacturing company, leading a transformation “to be the best in the world at what we do” required evaluating our core businesses, our growth in them, and questioning the value of our offering going forward. My promotion had been packaged with the exit of the president and head of sales and I had too hastily promoted an internal candidate to vice president of sales who was already familiar with the current direction and leading an international sales initiative. The international initiative was to develop technology integration customers around the world, presumably because we had exhausted what we could do domestically in this highly-commoditized business. So, I went on one of our standard worldwide sales excursions that visited three to five countries with only two to three prospects per country and quickly decided that initiative needed to be terminated. After a longer and more thoughtful search, we hired a new vice president of sales who was very experienced in highly engineered electronic products companies, could leverage our high level of engineering expertise, and get us into a much higher value and margin business. I also brought in a high-powered industry operations person from a much larger company to help lead that part of the transformation. I just had not realized the overhead that came with an executive from a much larger company to a company our size. The next vice president of operations was very talented and hired from a larger company too, but was also ready for a step up in responsibilities. Already extremely fortunate with our administrative and technology department heads, we were off to the races a little over a year after I took on the role. A big lesson for me – I had made my earliest choices to lead both sales and operations before I had a clear vision in my mind. The results could’ve been catastrophic, and I took full responsibility for those hires not working out. How clear and committed are you toward your organization’s vision? 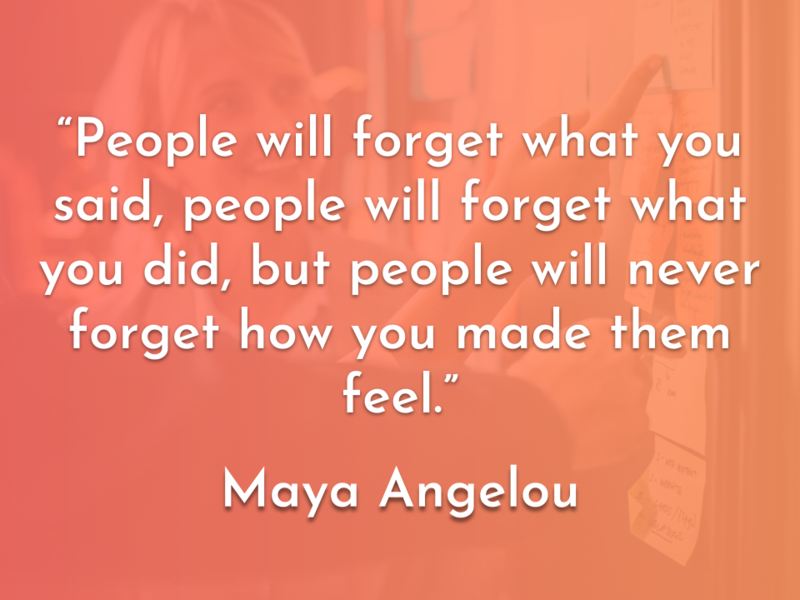 Is your passion for your organization and your vision so strong that you could make the really difficult decisions regarding who the right people are for the required seats on your bus? Global Internet Payments Company. Our vision here was transforming this 10-year-old fast-growing, but under-performing, “start-up” into a next-level high-performing and growing company. 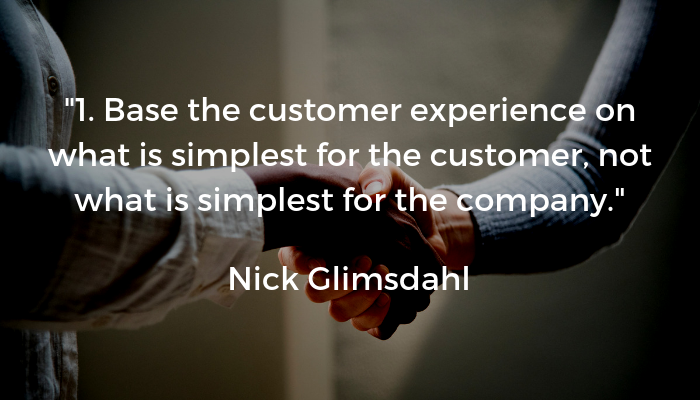 Our mission was providing the highest value to our clients (the sellers using our payment services), growing the company’s financial value for an eventual exit for its founder, and everyone working in harmony and enjoying their jobs working towards those two goals. I inherited a team of very talented individuals who had grown up with the company from its start-up roots and were now encountering growing pains they didn’t have the background and experience to effectively work with. The company had grown into functional siloes that were just not collaborating anymore. Its performance was suffering, as were its employees (a close correlation). In the software development world, an Agile development environment requires the various functions of the company to work very closely together, and a software-as-a-service provider can be a great candidate for Agile. We did not have a high level of Agile expertise in-house, so we added a vice president of information technology experienced in leading Agile implementations. We had a vice president of operations who had been a terrific developer early in the company’s history and who had become an industry expert in all things payments. She was not particularly happy leading operations, which needed an overhaul the likes of which was not in her previous experience. She became a sorely needed vice president of compliance and I, as COO, took direct responsibility for the various operations areas. Additionally, in this business, accounting was a vital part of operations. I promoted underutilized and knowledgeable internal talent to backfill openings created earlier in this process. In fast growing companies, the mostly highly talented individuals do not necessarily want to become vice presidents of much larger organizations, nor are they prepared to do so. Do you have anyone in your organization who may have those kinds of challenges in their current role and would be happier in a role more closely aligned with their qualifications and experience? Hiring for top leadership team roles is better delayed until the vision is clear, you know what you need, and you get the right people in the right seats on the bus. The costs for the organization and for the individuals with short tenure may not be worth the short-term benefits, if there are any. Is your vision clear? Some people promoted into top roles should probably be put in as interim leaders until everyone is satisfied that the best people are fulfilling the roles and that they really want to be in those roles. 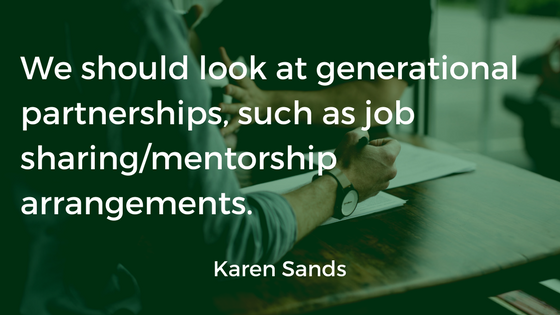 If it still doesn’t work out, thank them for contributing to the company in a time of great need, and try to place them in roles for which they are better suited so you don’t lose their valuable talents and company knowledge to someone else. Do your best to not let those shifts be negative experiences in any way, shape, or form. When you need talent and experience that you don’t have – but know that in the long-term it will pay off – add someone to the team when you know they have a passion for the vision as well. Don’t hire them before the vision and need are clear, unless you need their help in that, too. 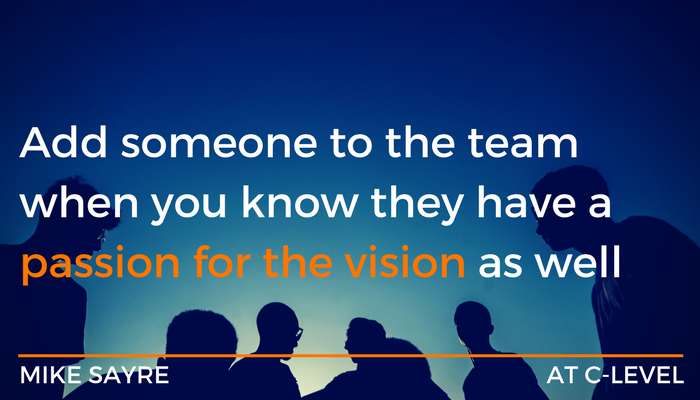 Hiring a consultant to help work your team through a visioning process may be a better route. Is your vision clear (an intentional repetitive question to underscore its importance!)? In “At C-Level #13: Pre-Transformation Analyses,” we’ll look at how the situations and strengths were analyzed for these same three organizations and what the key takeaways are that you may need to think about in preparing for your transformative journey. 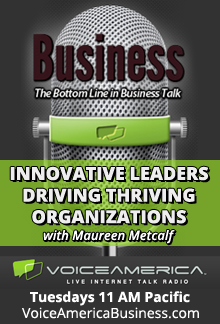 This post is a companion to the Voice America interview featuring Mike Morrow-Fox talking about leadership maturity and vertical development to build the leadership qualities required to lead large complex organizations and those that aspire to make the greatest impact. The following article was first published by Forbes Coaches Council in August 2016. Future trends indicate complexity, accelerated change, and near-constant uncertainty in the coming years. These conditions will require significantly different leadership skills. With these new demands for evolving leadership, is there a predictable path to develop leadership? If so, what does that path look like? Leaders develop both “horizontally,” increasing their ability at their current level of operation, and “vertically,” increasing their level of complexity, emotional maturity, and opening to new awareness. 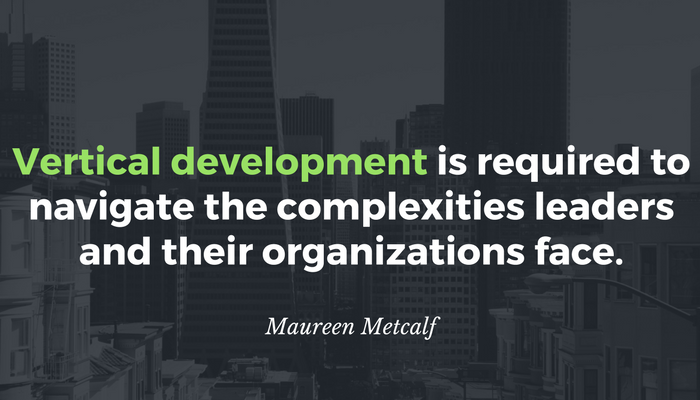 Many researchers are now saying that “vertical development” is required to navigate the complexities leaders and their organizations face. To answer what the vertical evolutionary path looks like, I reference the research of Dr. Cook-Greuter, who developed a Leadership Maturity Framework (LMF) and measurement of adult development as part of her doctoral dissertation at Harvard University. Dr. Cook-Greuter is now the Co-Founder with Beena Sharma of The Center for Leadership Maturity, a firm that facilitates vertical development in individuals, teams and organizations. The LMF is the basis of my work with vertical leadership development because it provides a model that is both grounded in research and practical to use in coaching and leadership development. This level is about conforming and belonging. People at this level follow rules, norms and observe hierarchy. They conform to social expectations, work to group standards, seek membership and approval, and appreciate outward signs of status as a sign of approval. They attend to the welfare of their own group; those who are not like them are the “other,” and therefore outside their circle of concern. They avoid conflict, think in simple terms, and often speak in generalities. Feedback is taken as disapproval since their driving value is to gain approval and be included. This focuses on comparing self to others and perfecting skills. Individuals at this level focus on being competent in their own area of interest and improving techniques and efficiency. They aspire to quality standards and are often heavily invested in their way as the only way of doing things. Decisions are made based on incontrovertible “facts.” Given their focus on problem-solving and detail, they can get caught in the weeds and not see the big picture necessary to effectively prioritize among competing demands. All consuming attention on being right can lead them to be critical of and competitive with others. They hear feedback about their work as criticism of them as a whole person. Example: This is the employee who points out when others make mistakes and tries to correct them so they can meet the standards. Her development efforts focus on building expertise. She usually has a “better” opinion unless she is in the presence of a subject-matter expert. This focuses on analyzing and achieving to effectively deliver results. 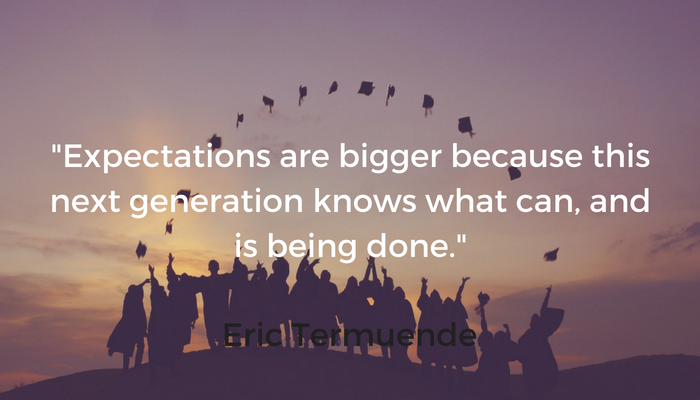 Leaders at this level look toward longer-term goals and initiate rather than follow expectations. They value objectivity and scientific knowledge, seeking rational, proactive ways around problems. They often seek consensus — “agree to disagree” — and value mutuality and equality in relationships. They accept feedback to promote learning and success. 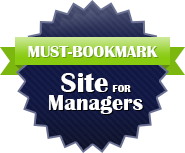 Example: This employee continually drives to meet organizational goals. He works both efficiently and effectively and is continually competing with himself and others to drive the best results. He has a five-year plan, is open to new learning, and is beginning to be more reflective. This level focuses on self in relationship and contextualizing his/her experience. Leaders at this level are concerned with the difference between reality and appearance and have an increased understanding of complexity and unintended effects of actions. They begin to question their own assumptions and views and realize the subjectivity of beliefs; and talk of interpretations rather than facts. They can play different roles in different contexts and begin to seek out and value feedback. Example: This employee is continually inquiring, challenging assumptions, and aware of the limitations of conventional thinking. She focuses on creating an environment where everyone feels valued. She is committed to appreciating value in different perspectives. This level is about integrating and transforming self and systems, and recognizing higher principles, complexity and interrelationships. People at this level are aware of the social construction of reality — not just rules and customs. They are problem finding, not just doing creative problem solving. They are aware of paradox and contradiction in self and systems and learn to have a deep appreciation of others. They demonstrate a sensitivity to systemic change and create “positive-sum” games. 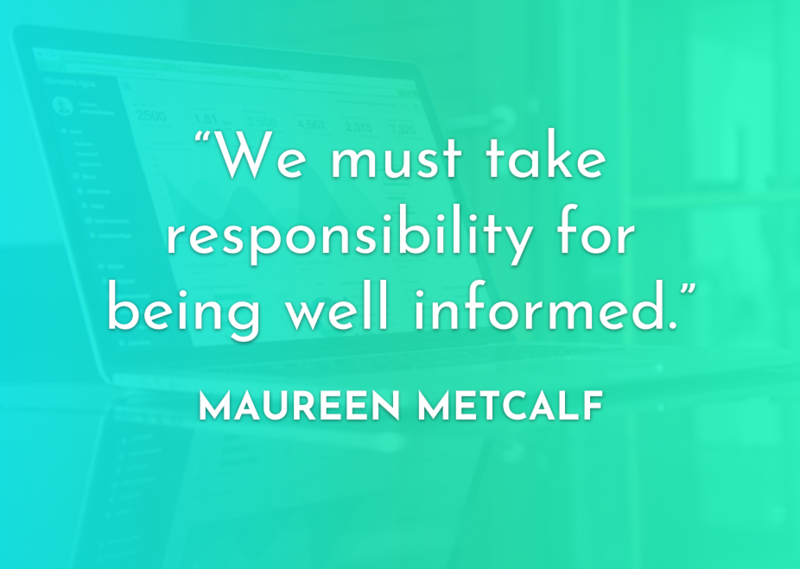 Example: This person is continually evaluating the organization’s strategy against long-term industry trends as well as global economic conditions while embodying her values and using herself as an instrument of transformation. She is self-aware and firmly anchored in principles while having the ability to adapt based on context. 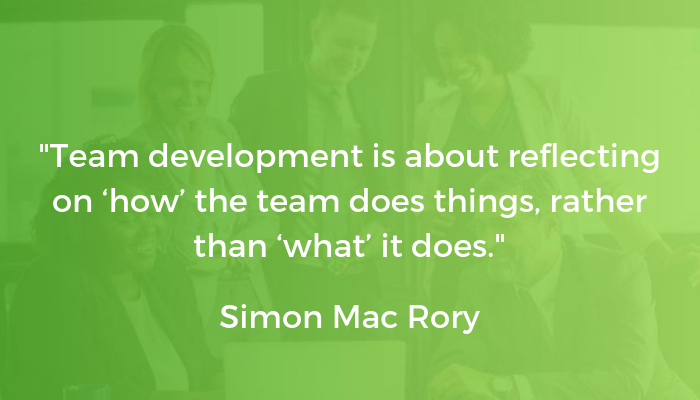 As we look to the changes leaders are facing in the near and long term, it is helpful to have a robust model for development that allows them to focus their development energy effectively. 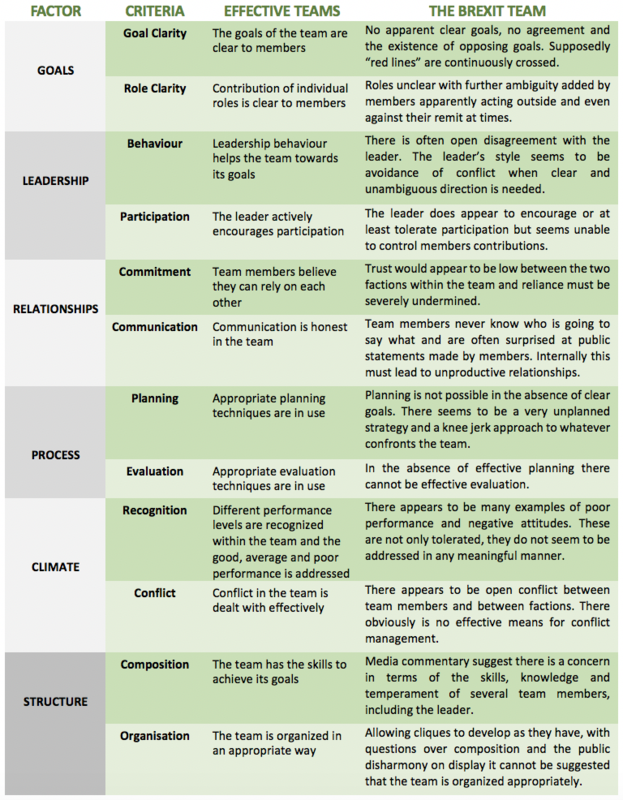 This framework, along with it, measurement instrument — the maturity assessment for professionals (MAP) — is the most robust I have seen, and I find it highly effective in supporting leaders.